I started this blog in China during our #journeytogia. I'm going to modify it here and there and finish it because I keep putting it off. There is so much going through my head the last few weeks, settling on something to write about has been a challenge. We have been getting all kinds of inquiries about our family since returning home, ranging from things like "how is her English," to "how is it going?" At some point I think we will blog specifically to the most frequently asked questions, but I thought I'd address a particular question that Amy and I get asked regularly, because I think this question sets the stage for a reflective post such as this. Aside from "Why adoption?" which is perhaps an entire separate post, or series of posts, which you could also glean from reading our previous blog posts and piecing things together. "Why China?" is probably the question we get asked most frequently by family, friends, and loved ones. It can also be asked alternatively, such as "Why not adopt in America?" Though we are not offended by this question, and realize that some ask this merely out of curiosity and are interested to know how we came to that decision, I have to be honest and say that, at the same time, it can be a frustrating question for us. Our quick answer is almost always, "Why NOT China?" but there are plenty of reasons we made this decision 10 years ago. For those who seek concrete, tangible answers, Amy and I saw adoption as an opportunity, NOT a consolation to our initial infertility challenges (for which we have never pursued or sought medical attention/treatment). Don't get us wrong, we have nothing against fertility treatments and medically aided solutions. We just knew it wasn't for us. Plain and simple. I remember Amy telling me about some things she had read about international adoption, so we simply prayed about it, and immediately, both of us knew we wanted to adopt internationally, more specifically, China. Again, for you tangible folks, Amy's sister Martha had also taught at an International School in China for a number of years, so we were already quite enamored and intrigued by Chinese culture. We also learned China had instituted a "One Child" policy in most parts of the country, so children, primarily girls, were being abandoned at an alarming rate. This tugged at our hearts, and from there we never turned back. In 2004 we adopted Gracie Faye Aijin Miller. The experience we had in China, while meeting Gracie was life changing. We learned much about a culture that is different than ours, but in many ways not all that different. We also learned more about the process of adoption itself, and the many ways it impacted us both as a family and spiritually. 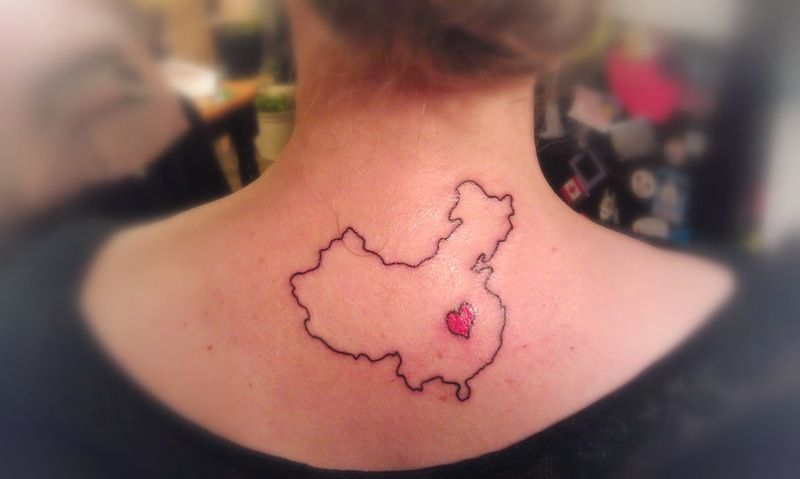 In many ways, China became a 2nd home country of sorts for us. Visiting Gracie Faye's "finding place" was an experience that would change us forever. Meeting a group of other adoptive families would impact us in ways we could not imagine. Fuling 5! Connecting with a Chinese guide, Michael, showed us in many ways how much we could learn and appreciate the Chinese culture. In 2011 we chose to adopt Gemma Lucille Sanhui Miller. You can read more about this in other blog posts from 3 year ago. What an experience this was as we were able to visit some historical places in addition to our adoption processes. Gracie was also able to accompany us and got to see things like the Forbidden City, The Great Wall, The Summer Palace, and much much more. We didn't get to do as much sight seeing when we adopted Gracie in 2004 so this enhanced our appreciation for China even more. During this experience, I was moved by Gracie's bravery while welcoming a frightened 4 year old sister, and by Gemma's courage as she was taken from the only life she knew, by 3 strangers who looked nothing like what she had seen, and spoke words she couldn't understand. Our love and appreciation for China grew, just as our love for our daughters grew, and just as our family grew. So here we are just over a month or so removed from our #journeytoGia in May/June of 2014 and once again, China captured our heart. You see, each time we have adopted, we have been blessed to see a different part of China, meet new people, traditions, foods, and ways of life. We have seen modern cities and rural farmland. We have flown in planes, ridden trains (of different styles), pedicabs, vans, chairlifts, and yes steel luge runs! Once again we have been blessed by the incredible network of adoptive families, many of which have become new friends. Our guides have been like family members to us, despite our very short window of being with them. Helen and Simon are like members of our family, in a very real way that only adoption can accomplish. Of course on this trip we were all captivated, moved, and impacted beyond words by the bravest 7/8 year old we have ever met, Gia Pearl ChunYu Miller. To watch her say goodbye to her best friend, Shi Shu Ping, was the most moving site we have EVER experienced. To this day she inspires us and reminds us of what really matters. She shows us courage, and vulnerability, things that impact us all. So "Why China?" you ask... Because Martha, Gracie, Michael, the Doodys, the Rombolettis, the Freemans, the Hsias, Gemma, Miranda, Grace, Gayly, Rebecca, Gia, Shi Shu Ping, Helen, the Mountses, Simon, the Flythes, the Goodsons, many, many others, and most importantly, God's Plan. I'm particularly fond of an image that is vividly etched into my memory and heart. It is from a mural at Gracie's orphanage in Fuling City that reads "Love Has No Borders."